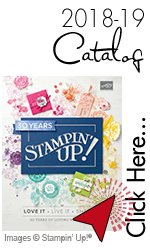 Autumn is a time for change right?~Rachthestamper, Stampin' Up! I think it gives a much cleaner look and feel and it focuses more on the card images. Well, those are my thoughts anyway. What do you think? Love it, Hate it?!?! I am dying to know! I try to keep things clean and simple and I love to see blogs that are clean as well. When I look around for great ideas and new cards and projects. So, I will be trying to get on here and put a new post up at least twice a week. I am hoping you all will hold me to it if I slack off. I am going to really be hitting the ‘LIVES’ too, and I do both YouTube and Facebook ‘Lives’ if you are not aware. You can follow me on both platforms that way you’ll get a notification when I go live, so you don’t miss anything cool. I’ve been trying to hit some milestones as well, so I would truly appreciate if you would invite your crafty or even not so crafty friends and family to watch and be sure to “SHARE” when you see me go live and better yet, leave a comment. Even if it’s just hello there, it helps me to be seen more on your feeds when you like and or comment on posts. Also, I have been posting lots of previews to my blog and ‘LIVES’ on Instagram. It’s another fun and free site to hop on if you have space on your phone. Yes, the struggle is real, sometimes even I have to delete apps and photos to get more phone space. So please, be sure to let me know your thoughts on the new format. I would totally be willing to go back if it will make y’all happier!